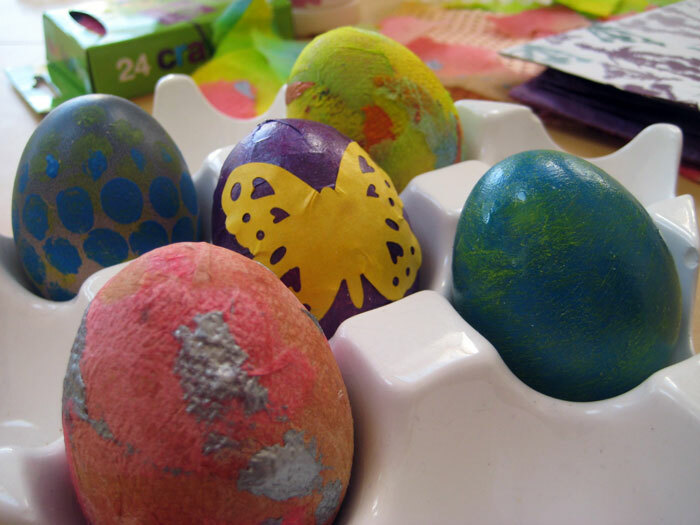 I had great fun decorating these little eggs, and it was quick and easy too! I chose to hard-boil the eggs, you can blow them but it’s a little bit more complicated and time consuming. These eggs are purely for decoration and should not be gobbled! 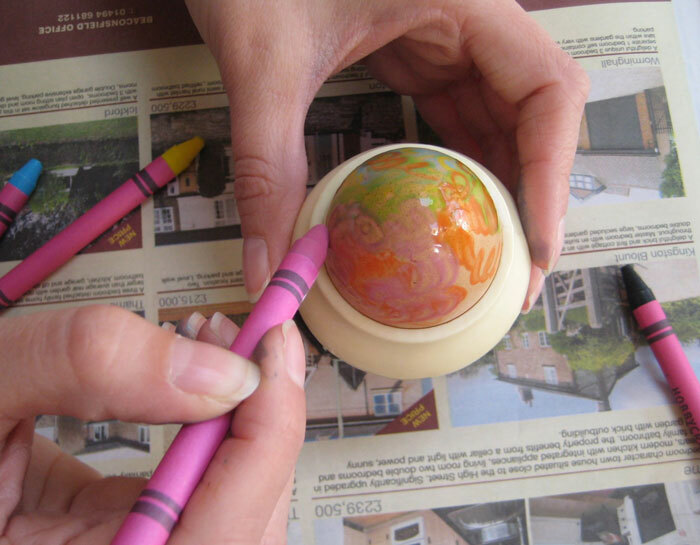 Once boiled, work quickly on the egg with wax crayons whilst it’s still hot. The crayons will melt and the more layers you build up the more runny and mixed up it becomes. Put the little fella into a cup of water with some blue food dye added. Leave it for about 15 minutes and it should take up some of the colour. Leave for longer for a more intense effect. 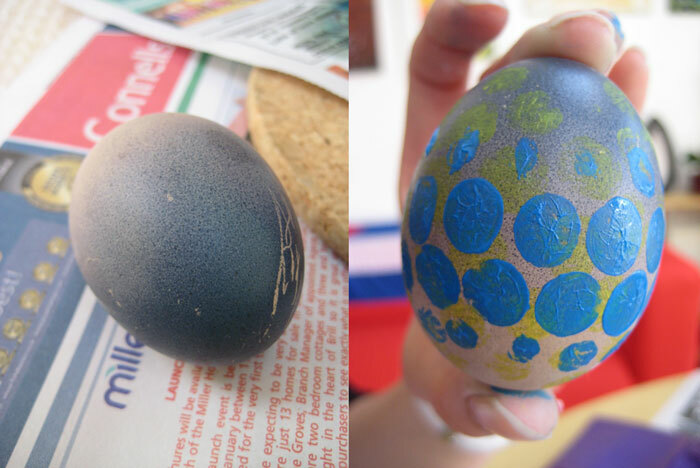 My egg created it’s very own speckled gradient (clever old egg). I then printed some spots in blue and yellow using some acrylic paint and bubble wrap. 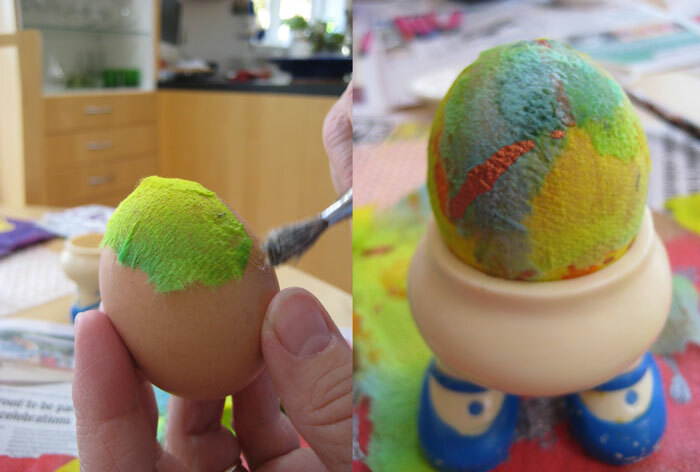 Use some torn up dyed kitchen roll to cover the egg. Simply glue (PVA) the paper down all over the egg. The paper I used also had some metallic bronze paint splattered over it. I also made a version using red dyed kitchen roll, and one using purple tissue paper with a yellow butterfly decoration glued on the front. You could also cut images out of newspaper or magazines. 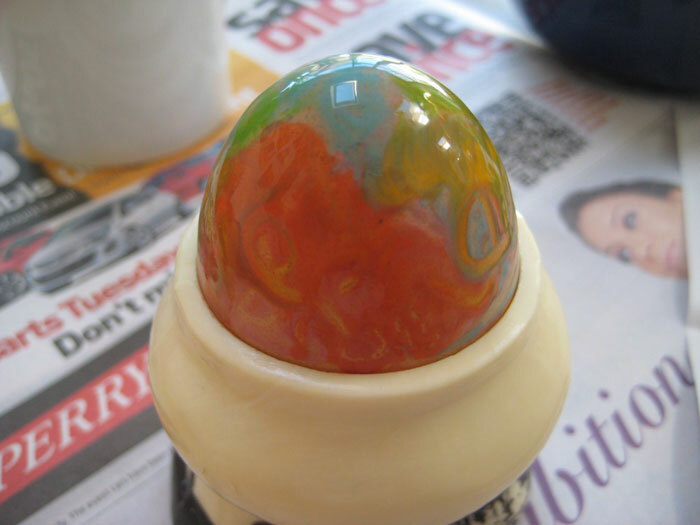 Simply paint the egg with acrylic paint. 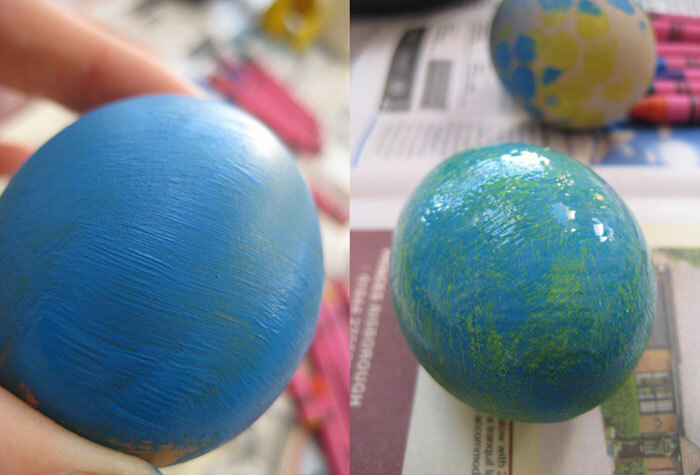 Here I chose to paint the egg blue, then dry brush yellow paint over the top. You could also cover the egg in PVA glue to give it a shiny finish as I have done here. 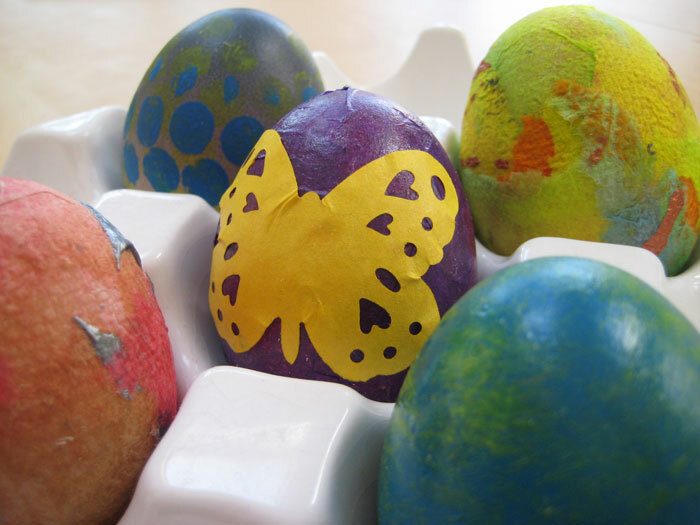 So there are lots of things you can do with an egg for Easter – have an experiment and see what you come up with. Happy Easter! By Kim Osborne – check out my shop for lots of bright prints and illustrations. This is such a fun collection of eggs! I’m doing a spring link up today over on my blog…http://rustsunshine.blogspot.com. Would love it if you would join us!